ThemPra Social Pedagogy is a UK-based social enterprise and the lead organisation in this project. We support the sustainable development of social pedagogy through a range of short courses, organisational capacity building and whole-systems strategies. At ThemPra we have set out to actively promote social pedagogy, because we know that its focus on well-being, learning and relationships can make a substantial difference to the lives of disadvantaged children, young people and adults. We have also seen evidence of the positive impact it can have on practitioners and entire teams who have embraced social pedagogical principles not just as a way of working with children, young people and adults but as highly relevant and applicable to team work, leadership and multi-agency working. And with this MOOC we hope to spread the positive impact of social pedagogy across the globe – with your help! KJSH – Stiftung für Kinder-, Jugend und Soziale Hilfen is a large not-for-profit organisation providing social pedagogical services in youth care and VET activities in Germany. The KJSH provides help for over 4,000 individuals and families and employs more than 3,000 employees. Its services range from ambulant family care settings, include units for diagnosing and removing child protection issues, units with pedagogues living in, intensive care units, street work, school assistance, ambulant care for young people with Asperger’s syndrome and treatment units for people misusing drugs. The KJSH also collaborates with other providers and has several joint ventures, including the Ubuntu circus project giving life and experimental space to 16 young people in a fully functioning circus. Ever since being founded in 1991, the KJSH has been committed to the ideas of social pedagogy and promoted the relevant topics in the north of Germany. It is linked in with several universities, organises conferences and aims to continuously develop its approach in everyday life using ongoing supervision and evaluation. The University of Central Lancashire was founded in 1828 as the Institution for the Diffusion of Knowledge. ‘Ex solo ad solem’, or in translation, ‘From the Earth to the Sun’, has been its motto ever since – helping people from all walks of life to make the most of their potential is what UCLan is all about. Today UCLan is one of the UK’s largest universities. Its School of Social Work, Care and Community is proud of its national reputation for delivering high quality education for social work, social care, the children and young people’s workforce, and community leadership and engagement. The School has a vibrant community of research-active staff engaged in a wide range of research activities that make a difference to the lives of vulnerable and disadvantaged people, and which influences policy and practice both strategically and at grassroots level. UCLan have developed undergraduate and postgraduate introductory modules in social pedagogy which run across three different degree programmes. In 2016, it launched its innovative BA (Hons) in Social Pedagogy, Advocacy and Participation. From autumn 2018, UCLan are also offering a new MA in Social Pedagogy Leadership, which has been co-developed with ThemPra. KP (University College Copenhagen) is Denmark’s leading provider of undergraduate programmes in social pedagogy, including full-time distance learning courses. It aims to present an internationally recognized study and research environment and to be one of the leading international profiles in Denmark within welfare professions, especially in the field of Social Pedagogy. KP has around 15 years of experience with e-learning, mainly aimed at students residing in Denmark, but more recently expanded to the Faroe Islands and Greenland. The infrastructure that e-learning offers gives students new opportunities in an educational field. The students can maintain their everyday lives while at the same time being able to get an education. CommonView is a Danish Vocational Education and Training organisation providing coaching and consultancy in social pedagogy, with expertise in cross-cultural learning transfer of innovative social pedagogical practice. It facilitates team development and working processes both for individuals and for groups. CommonView runs professional development courses and training in terms of dialogue, reflection, personal value creation and conflict resolution. Masarykova Univerzita, Brno is one of the largest universities for social pedagogy studies and actively involved in sector developments in Central and Eastern Europe. It comprises nine faculties with over 200 departments, institutes and clinics which offer a combined total of more than 1,300 fields of study. Masaryk University offers degrees in a wide range of traditional as well as newly-emerging disciplines and is currently one of the fastest-growing higher education institutions in Europe. Social pedagogy at MU has been developed over more than 20 years at two faculties: the Faculty of Pedagogy, where the focus is on leisure-time education), and the Faculty of Arts, where the Department of Educational Sciences aims at social and career counselling and guidance. 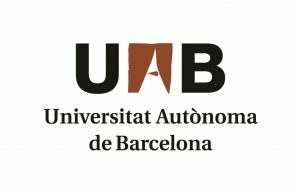 Universitat Autònoma de Barcelona is at the forefront of social pedagogy qualifications and leads the social pedagogy discourse in Spain and Latin America. UAB plays a leading role worldwide in scientific research, and its ample range of disciplines, in both education and research, indicates its multidisciplinary approach. UAB holds a leading position in the most prestigious and influential international university rankings, and, in recent years, this award has been complemented by its growing research impact, constant improvement of the quality of teaching and an ability to attract international talent to the university. Universiteit Gent is a socially committed and pluralistic university that is open to all students, regardless of their ideological, political, cultural or social background. It defines itself in a broad international perspective and has been recognised by the European Commission as a “success story” both for Erasmus and for the Jean Monnet Centre of Excellence. Its Department of Social Work and Social Pedagogy has substantial teaching and research expertise in social pedagogy, contributing to its discourse both in Flanders and internationally. The department’s research is focused on the study of social work practices, connecting the English speaking social work tradition with the continental social-pedagogical research traditions, and combining it with a broad educational perspective.